Lockwood and Co. 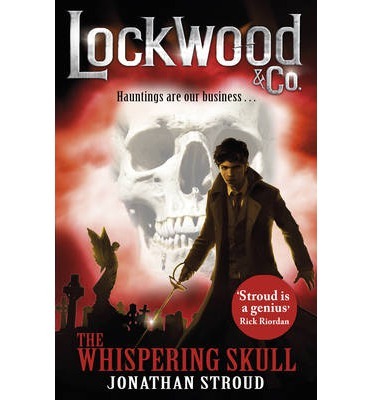 The Whispering skull by Jonathan stroud. The second book in Jonathan Stroud’s epic series. Lockwood and Co. are back. But this time things may not be so easy! After an embarrassing mess up in their first case Lockwood and Co. have been challenged to a contest, to see which is the better agency, Lockwood and Co. or The Fittes Agency,the biggest and arguably the best agency in all London.That’s not all,’ The Skull’ has started to have full conversations with Luce,does this mean that they’ve found a legendary type three?Lockwood and Co. are asked on a easy enough case that slowly seems to be destroying everything that Lockwood and Co. stands for.Will they be able to solve this case and beat The Fittes Agency,at the same time? Teen Rating : a book that will leave you wanting to leave the lights on at night! 12+ . 3/5 . Previous Previous post: The Ask and the Answer by Patrick Ness.